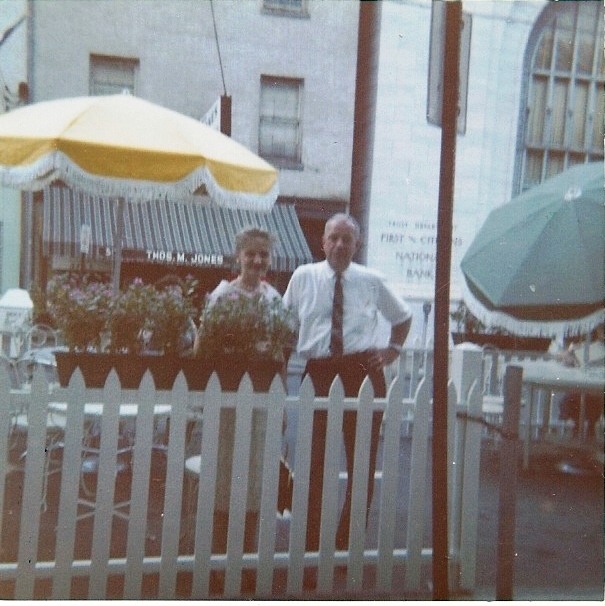 Thank you to Shuman’s Jelly Cake fan Charlotte Brown, who shared these photographs of Shuman’s when it was at 516 King Street. 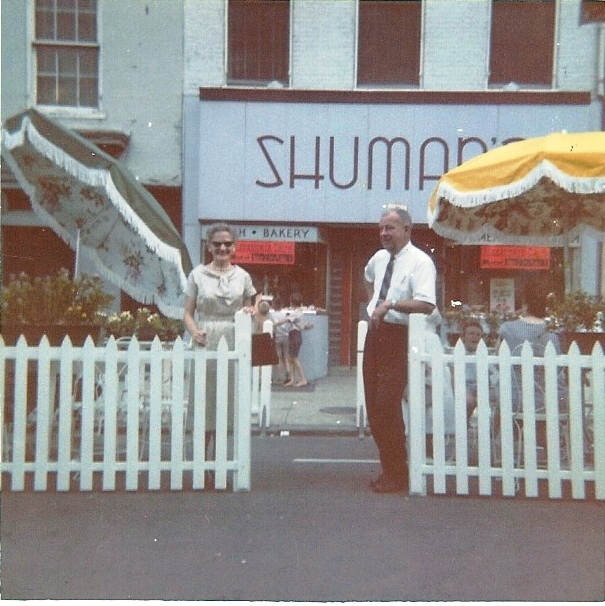 Charlotte’s aunt, Marie Brown Graves, worked at Shuman’s in the 1950s. 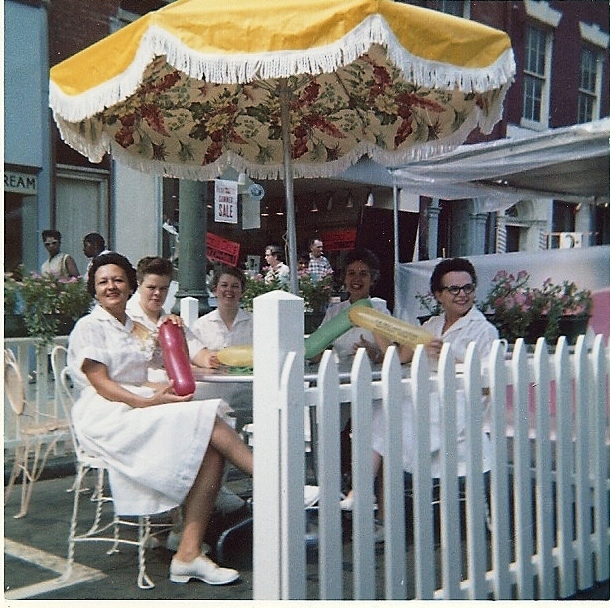 Included in some of the photographs are Irvin M. Hufford and Frances Shuman Hufford, who owned the bakery at the time. 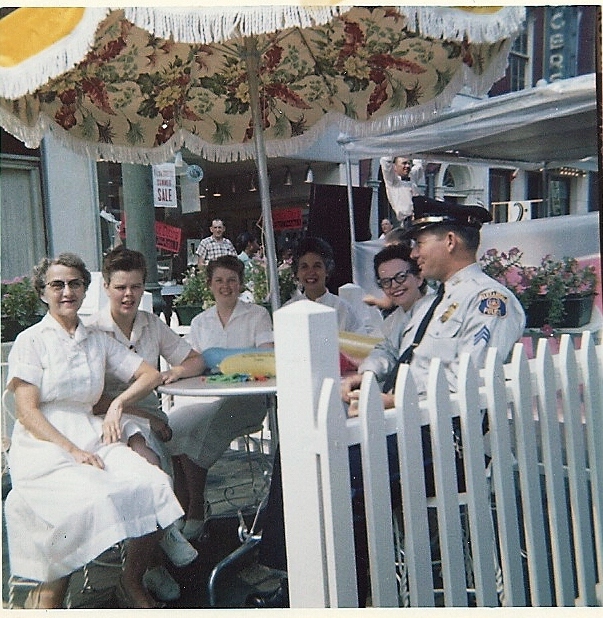 In another, Shuman’s is visited by one of Alexandria’s Finest for coffee and a donut. And notice the three boys in the background of another image, peering in the window at the delicacies behind the bakery counter. Thank you, Charlotte!